The Witcher: Adventure Game Trainer. 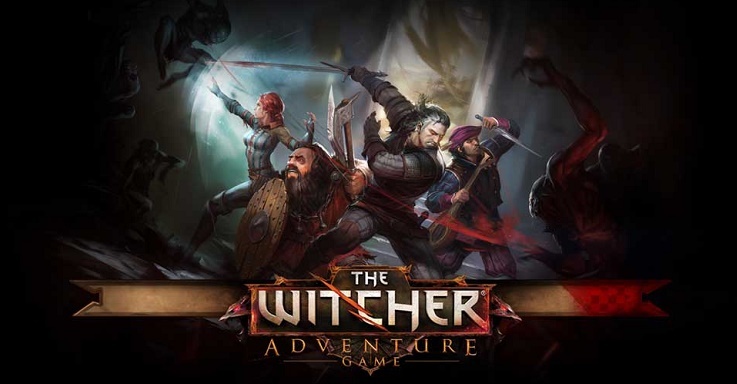 Designed by Ignacy Trzewiczek, The Witcher: Adventure Game allows up to four players to assume the roles of popular characters from the Witcher universe. Play as Triss Merigold, the cunning sorceress, or Dandelion, the roguish bard. Take on the role of Yarpen Zigrin, dwarven warrior, and command your own fellowship of dwarves. Or, play as Geralt of Rivia, the titular Witcher, and use your skills to slay fearsome monsters. Each of the four characters has their own skill set, so you’ll experience the world of the Witcher differently depending on which character you choose. You’re sure to find a character to fit your play style, whether you prefer diplomacy to fighting, or wielding magic to relying on the help of companions. The Witcher Adventure Game provides a multitude of tactical options. Each character has its own deck of Development Cards, so each time you play you can discover something new by trying out varied characters and experimenting with different builds. For example, when playing as Geralt of Rivia, the main hero of the Witcher franchise, you can develop your character either by specializing in brewing and utilizing combat Elixirs, or else by growing your ability to cast powerful Witcher Signs. A variety of quests invite players to hunt monsters, earn gold and interact with the characters they meet in a web of alliances and treachery. Decide whether you’ll help the other players or look after your own interests first, and keep an eye on the progress of your friends while you carefully work your way towards victory. Trainer for the game The Witcher: Adventure Game, you can use it to activate these essential Cheat Codes: Unlimited action points, 99 victory points, 99 gold, Purple Resources 99, Blue Resources 99, Red Resources 99. Note: This cheat tool is for the original version v1.0 of the game The Witcher: Adventure Game.